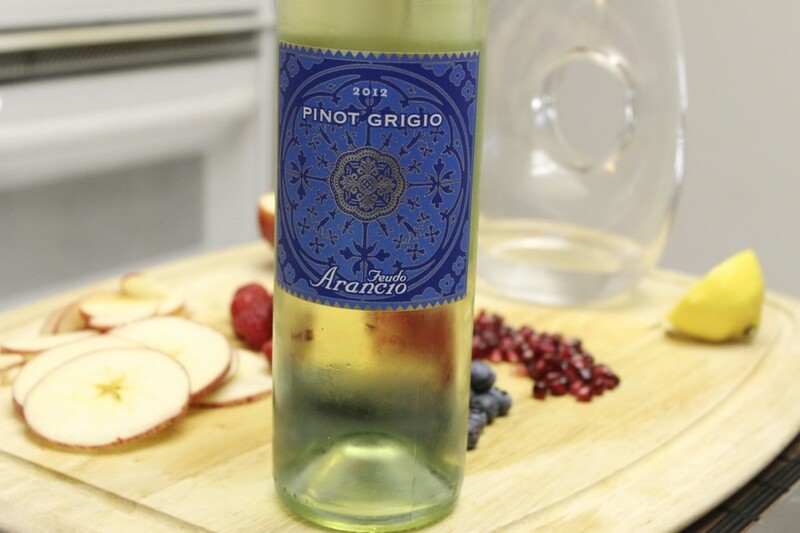 This Red White and Blue Sangria is perfect for the 4th of July. It's so easy to make and such a crowd pleaser, guaranteed to make you say, "God Bless America!" Finally, some simple syrup, which is just equal parts sugar and water heated until the sugar dissolves. I made a green grape flavored simple syrup to go with the white wine. I chose green grapes to keep the liquid white, for the white part of the red white and blue. 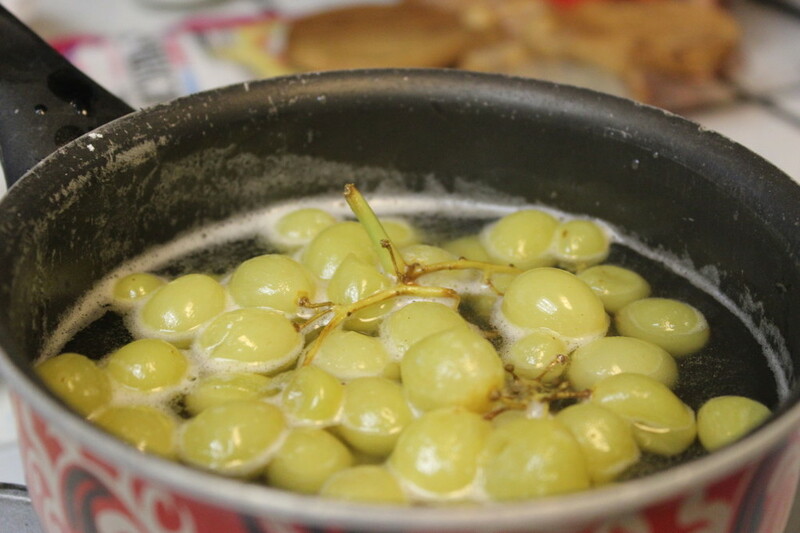 I just put the grapes in after the sugar dissolves and let them simmer until they soften and lose color. 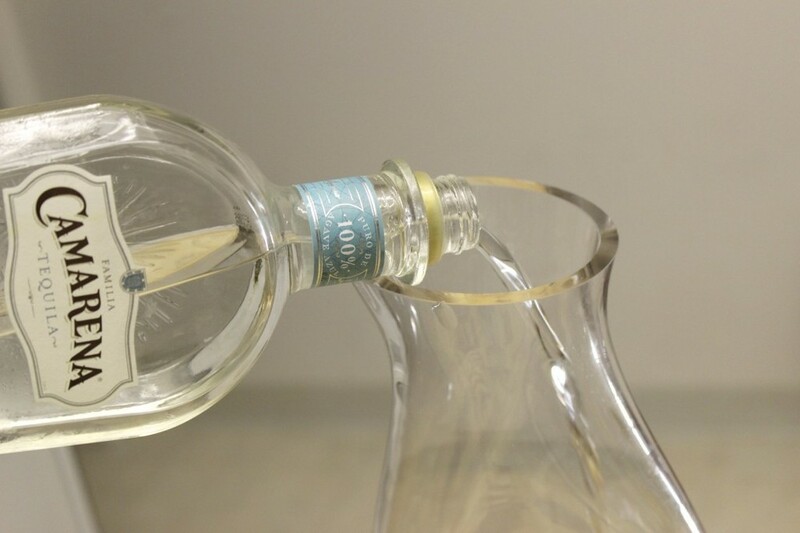 Let the grapes steep while the syrup cools off. Like all sangrias, this one benefits from sitting in the fridge for at least an hour or two, so the flavors can get to know each other and let their guards down. Make it the night before and you'll have one less thing to think about on the big day. Combine sugar and water in a small pot over heat until sugar is dissolved. 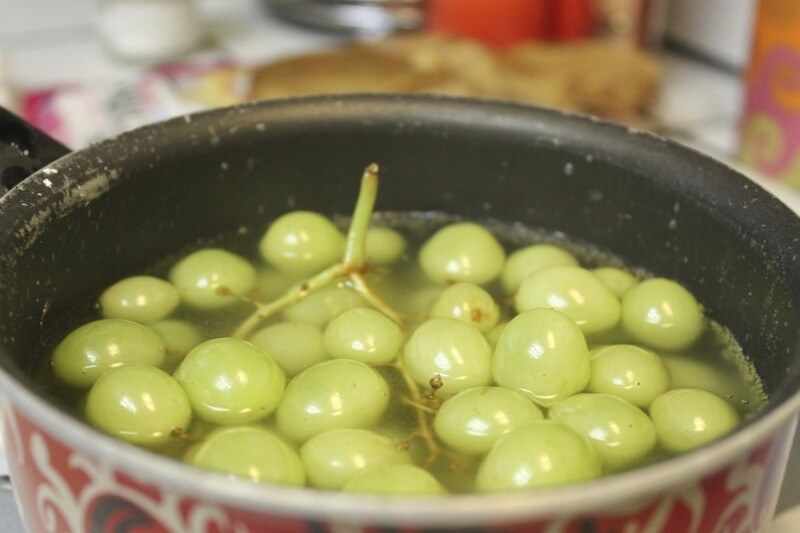 Add the grapes and simmer until the grapes pop open or are very easy to pop. 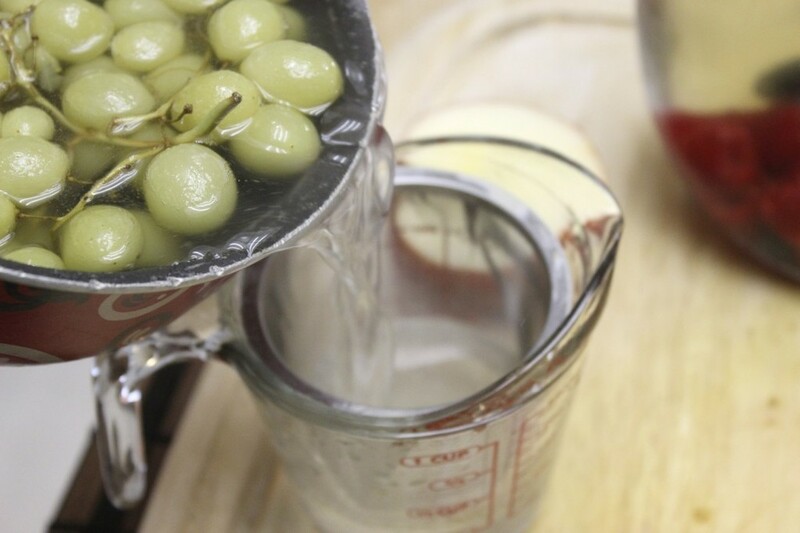 Turn off the heat and allow the grapes to steep until the syrup has cooled. Once cool, strain and store in an airtight container. Place all the fruits in a pitcher. 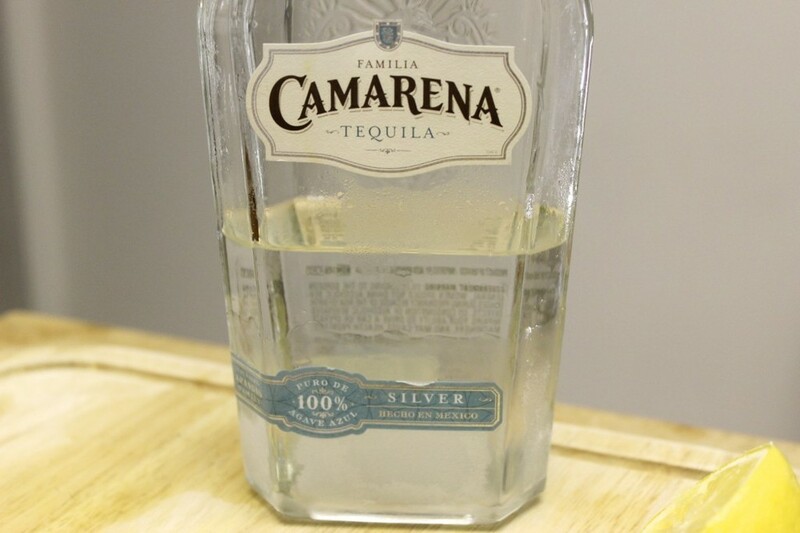 Add the tequila, wine, simple syrup and stir. Taste and add as much lemon juice as needed. Allow to refrigerate for a few hours to overnight.